A lovely magazine which takes you along on a nostalgic journey of the United Kingdom’s most beloved and one of the largest countryside - Yorkshire. Buy a single copy or subscription to Down Your Way magazine. The contributors of the magazine often share their experiences of past or present lives spent in the ever so calm rustic countryside. 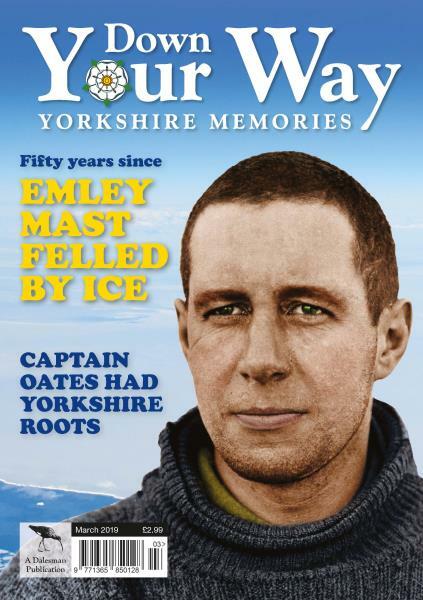 The magazine runs a section which encourages the readers (its primary contributors) to share their childhood memories of their lives in Yorkshire. These are the kind of stories you yearn to listen to when you visit your granny’s house. People affectionately talk about their cherished memories which fill you with happiness and makes you want to experience what they fondly speak of now. The magazine usually runs a section in which people often talk in length of the kind of music popular in their times. Bought as a gift for my mother aged 91. She loves it as it reminds her of times past. My uncle loves this magazine. He has lived in Australia for 50 years, and this magazine takes him back to his younger years.